It’s uniform time! 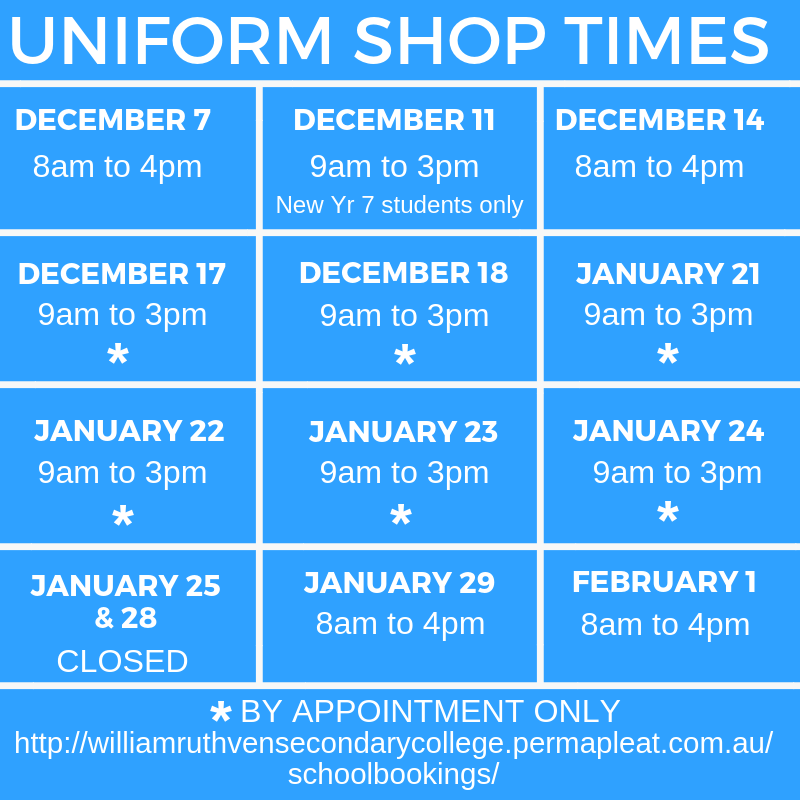 Our uniform store is open at certain days and times through December, January and February. It is advisable that all new students are correctly fitted for a school uniform.